Wolfgang Luckmann has over 20 years of experience in teaching continuing education course for massage therapists and acupuncturists. He is a member of the Massage Therapy Hall of Fame since 2015. He is currently teaching some 11 different classes. Developed in France in the 1930s, manual lymphatic drainage (MLD) is a gentle massage technique that helps drain lymph and the waste products it carries. It is commonly used to treat lymphedema, but it can also help maintain a healthy body and encourage soft tissue healing. It is a popular compliment to sports, medical and deep tissue massages. Manual lymphatic drainage is one of the simplest yet most practical techniques you can learn through continuing education courses. 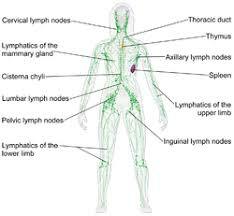 You can expect comprehensive learning about the lymph system as a whole and an in-depth look at the causes of lymphedema. Some courses teach the basic technique only, but many focus on its benefits in sports massage, post-surgical care and as an alternative therapy for chronic illness. Known locally as "Jax," Jacksonville, Florida loves nature almost as much as it loves a good game of golf. The city is surrounded by park land and boasts the largest urban park network in America. For a great day in Jacksonville, go for morning swim at Atlantic Beach, snag a deal at the weekly flea markets and cap off your evening with a river cruise featuring live blues music. Jacksonville is has a thriving reiki community and a growing interest in holistic health. Some local, organic farms will even provide farm tours. The city can be on the expensive side for visitors, but transportation options like the trolley, monorail and water taxis give you plenty of interesting ways to get around.